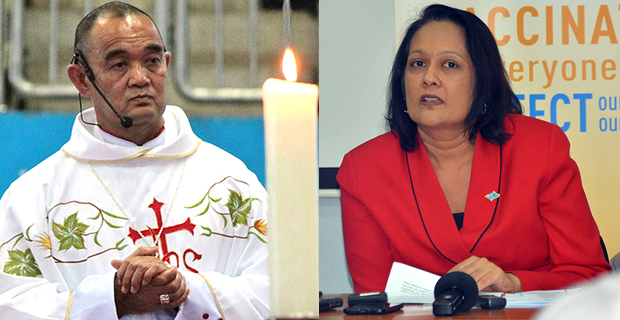 The Head of the Catholic Church in Fiji, Archbishop Peter Loy Chong says he will decide on the next step to take regarding the appointment of heads of Catholic schools after the recommendations were presented to him following the discussions with the Ministry of Education. Archbishop Chong confirms that the Ministry has not changed its stand on the request he made for Catholics to be appointed as the heads of Catholic Church run schools. He says he will have consultations and dialogue, and then decide on what will be done. Archbishop Chong says they will continue to have dialogue for now however they will write a more comprehensive presentation to the Ministry in the coming days. Following the meeting with the Ministry of Education, a statement from the church says that it was evident that many of the participants had strong emotions and feelings about the issue, during the Q&A and the group discussions. The statement says there was a mixture of feelings from being threatened and betrayed to feelings of hope and being energised. It says that at the end of the exercise, it was clear that the group felt challenged but they were “fired up” by the Holy Spirit to continue to join the Archbishop in carrying out his moral obligation in preserving and promoting the identity and character of the Catholic schools. The participants have offered several different courses of action for the Archbishop to discern as he plans his next strategy. The proposal includes that the Archdiocese considers civil disobedience which would include an open‑air Mass; and to close the 44 primary and 19 secondary schools. Other proposals include the initiation of a critical self‑reflection and an organisational review on Catholic education in the areas of identity, character, quality of teachers and planning; for example the plan to upgrade Corpus Christi to a Catholic University, to continue partnership with faith‑based communities and work towards partnership with the government, to strongly insist on a structure of consultation that would ensure trust and respect for the management of the school or to take an aggressive and urgent stand on the Church’s request to consider faith as a merit when considering appointments of Heads of Schools. Archbishop Chong says he will take their advice into prayer, further consultation and discernment to arrive at the most effective response. When asked by Fijivillage, he confirmed that he will arrive at the decision after having consultations. The government has maintained it’s stand that the Open Merit Recruitment System will continue and religion will not be a criteria for appointment of heads of schools. We are still awaiting comments from Minister for Education Rosy Akbar.